Ark sixth form students enjoy a rich, varied experience and benefit from a culture of high expectations. We provide sixth forms that have the simple objective of ensuring 100% of leavers go to university or pursue the career of their choice. The majority of our sixth form places are taken by students progressing from year 11 within our academies, but we also welcome applications from motivated, hardworking, and well-qualified students from other schools. Our sixth forms have an academic focus consistent with our aim of helping students progress to university or advanced school leaver opportunities. The core of our curriculum offer is A levels, with most students taking four subjects at AS level in year 12 and continuing three subjects to A2 in Year 13. Students with very high attainment at GCSE are encouraged to consider taking an additional subject in both year 12 and year 13 where this is an appropriate option. 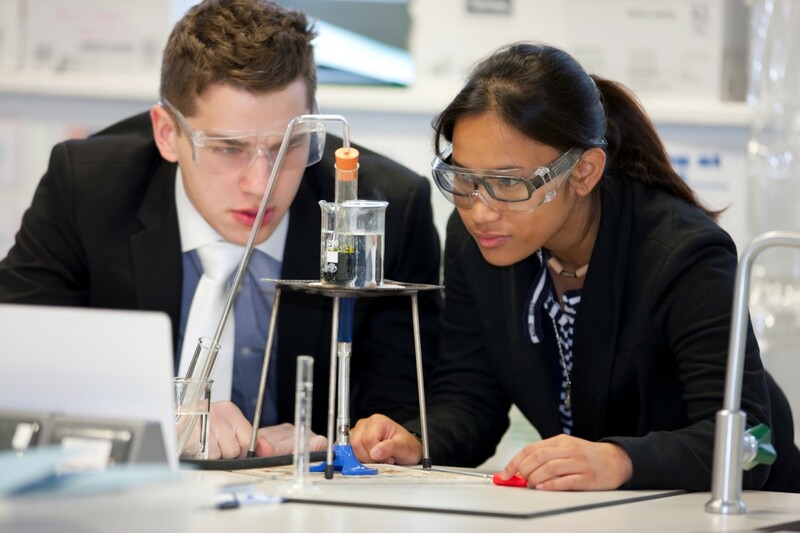 The Extended Project Qualification is also offered by several academies in order to provide our most able students with an opportunity to extend their learning beyond the A level curriculum, and to develop the research and enquiry skills valued by upper tier universities. Most of our sixth forms also offer vocational level 3 course in subjects such as ICT, Business and Performing Arts, typically reflecting the curriculum specialisms of individual academies. These courses also offer a route to specialist degree courses, and ensure that our sixth forms are providing for a wider range of our year 11 leavers. All of our sixth forms offer a range of enrichment activities, many of which are accredited, in order to provide students with opportunities to develop excellent leadership, communication and interpersonal skills alongside their academic studies. We expect our sixth form students to be leaders in their school communities through their contributions to sport, music, drama and peer mentoring. Quality, meaningful work experience is critical to our students gaining entry into university or the work place. Sixth form students have access to work experience placements with leading business which they undertake during school holidays. Ark's generous partners and supporters offer a limited number of bursaries to enrich our students’ learning and enable them to continue with their studies. These bursaries range from £1,000 to £40,000 to help with the financial costs of university life.